Star-Brite’s StarTron competes with Kop-Coat’s Valvtect VEGA; they are ethanol gasoline additives sold to boat owners and marinas to improve boat fuel performance. Star-Brite sued for state and federal false advertising/unfair competition. It won its motion for preliminary injunction against Kop-Coat’s comparative ads. StarTron was one of the first ethanol additives to the maritime market, gaining a dominant market share and benefiting from the relatively recent federal mandate to switch maritime fuel to 10% ethanol, because such fuel doesn’t burn as efficiently as regular gas. StarTron’s active ingredients are enzymes, while VEGA is a proprietary formulation of chemical additives generally used in the refinery and fuel industry. 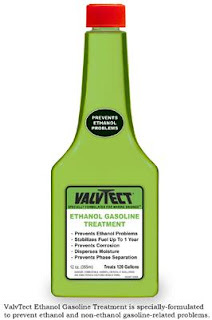 Valvtect has been in the business of petroleum fuel additives since 1987, and believed that StarTron was inferior. It set out to test Star-Brite’s ad claims on fuel stability, corrosion resistance, water control and prevention of carbon deposit build-up. It used its test results in developing its own product and in comparison ads. Valvtect used the ASTM D525 test to compare the products’ fuel stability, which is a measure of the shelf life of fuel before it starts to turn into gummy sludge. ASTM D525 is a generally accepted test for gas that needs to be run at temperatures of 212°F, “far in excess of conditions that virtually any boater’s fuel tank would ever experience.” It was not designed to test 10% ethanol based fuels, and the test protocol specifically notes that the data were developed from gas without oxygenates such as ethanol. Enzymes (such as those in StarTron) are more sensitive to high temperatures than traditional chemical additives. Thus, that StarTron may not perform well at 212°F, but still may work well under normal operating marine conditions. In addition, Kop-Coat never ran the D525 tests on 10% ethanol fuels, despite the fact that the products are ethanol fuel additives. In its ad, Kop-Coat asserted that Valvtect improved stability by 138% while StarTron only improved stability by 4%. Kop-Coat’s fuels expert revealed on cross that more recent tests performed by its independent lab showed stability improvements by StarTron on ethanol fuel of nearly 60%. This is consistent with Star-Brite’s results using the 525 protocol at the same independent lab. So: even if the 525 protocol is the industry standard for regular gas engines, it’s not right for the marine market, making its use misleading. And finally: all gas products tend to leave carbon deposits in engines, potentially causing problems. Refiners typically treat gas with chemicals to control these deposits, though usually with the minimum amount required by the EPA. VEGA uses more of the approved additives than required, and StarTron hasn’t disclosed whether it uses any of the EPA-approved additives. Valvtect’s initial ad invoked the EPA as well as BMW, Chrysler, Ford & GM (involved in establishing the tests for EPA approval) in a way that misleadingly suggested these parties’ approval of Valvtect. The revised ad, which suggests that Valvtect meets ASTM and EPA standards and “keeps injectors & carburetors clean,” was not misleading or false in this respect, according to the court. Somewhat oddly, the court said that because this was a “tests prove” case, Star-Brite had an “additional burden” to show that the tests didn’t establish the proposition for which they were cited. Other courts have called this a lighter burden, because the plaintiff need not falsify the underlying proposition but only show that the cited tests don’t support it. Pedantically, I’d say the burden is always the same: show that something material in the ad is false (the materiality of the claim “tests prove” being assumed, because scientific evidence is more credible than bald assertion). Anyway, Star-Brite met its burden on the first three claims. Even though the tests Valvtect used might have been appropriate in the general petroleum industry, they weren’t fit for their purpose here, comparing to an enzyme-based product in the maritime fuel market. The other preliminary injunction factors naturally favored Star-Brite as well. Side note: when Hamlet talks about a custom honored more in the breach than in the observance, he means that it is more honorable to breach the “custom” than to observe it. That’s how I mean it too, though there’s a good argument to be made that the past decade has seen as much evasion of the false/misleading dichotomy as adherence to it, via the epicycles added by puffery and falsity by necessary implication.